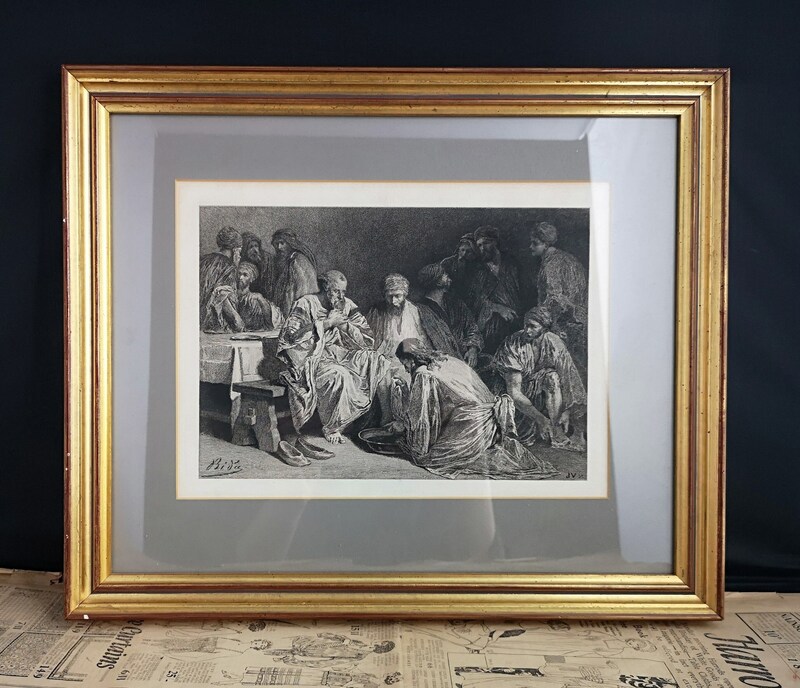 A fine antique print from an engraving by French artist Alexandre Bida (1813-1895). Bida was a painter in the Romantic period and often chose religious scenes for his works. 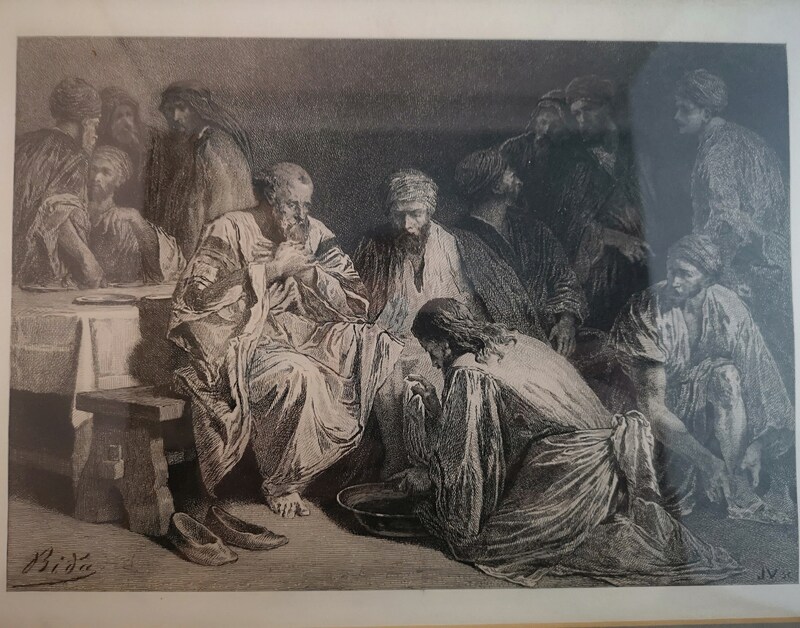 This is an engraving of Jesus bathing the feet of the disciples. 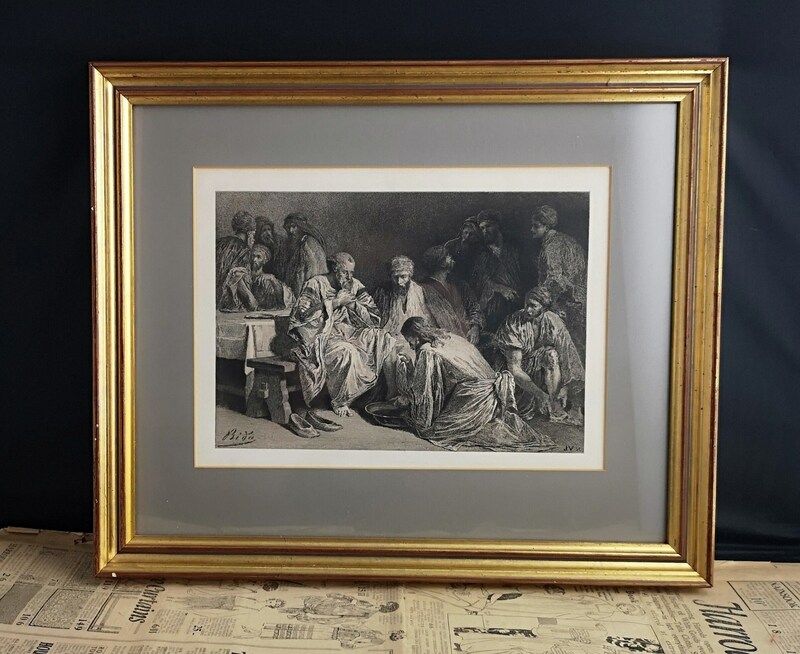 The picture has been professionally framed and glazed in an attractive contemporary gilt edged wooden frame. 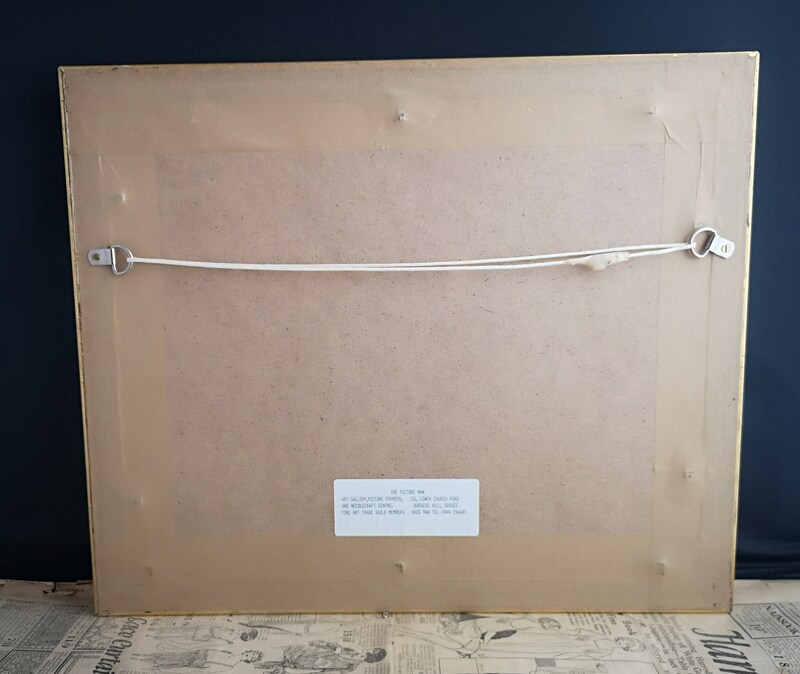 This antique print is in very good condition overall.